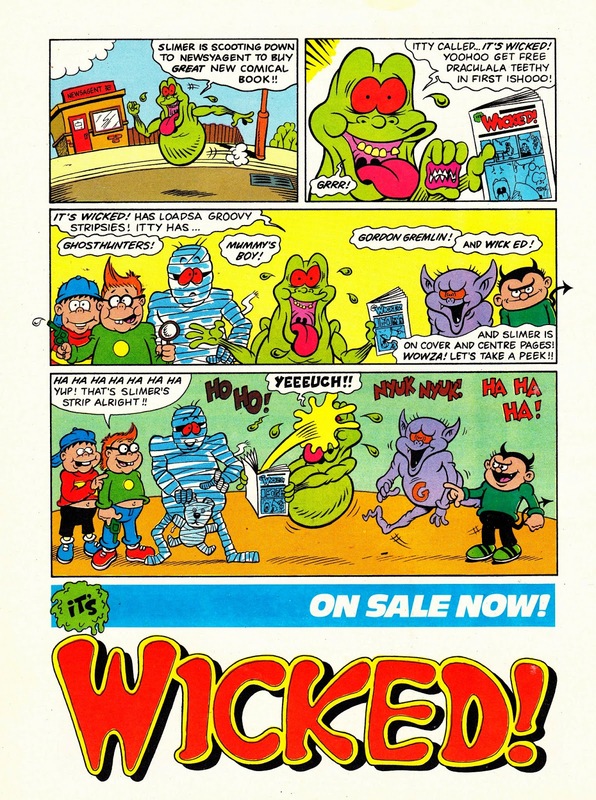 These are two 1989 (from June and July) MARVEL UK House Ads for their rare, and short-lived, humour venture IT'S WICKED. 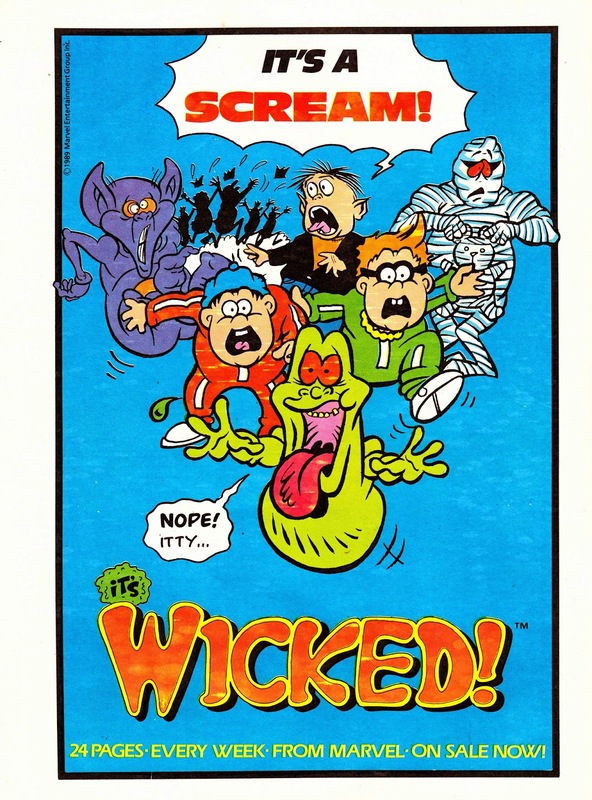 This bordering-on-the-traditional all-originated weekly had a spooky theme (shades of IPC's long-defunct MONSTER FUN) and cannily used Slimer from THE REAL GHOSTBUSTERS (a license that Marvel UK mined a great deal during this period) as the anchor character. It didn't last long… but the British Bullpen had another stab at the market later the same year with THE BOG PAPER… to equally lacklustre results.